In need for additional firepower to get the team back into playoffs and championship contention, the Mono Vampire Basketball Club have finally made the dream signing of adding 2016-2017 Heritage Import MVP Tyler Lamb to the team. Lamb himself has confirmed that he will “finish out the ABL with Mono [Vampire]” this season, coinciding with other sources that have mentioned of the signing. Mono Vampire Basketball Club and the ASEAN Basketball League have not been reached to comment and have not yet released an official announcement. This will be Lamb’s 3rd team in his 4th ABL season. Lamb played his rookie season with Hitech Bangkok City back in 2015-2016 before playing the last two seasons with Hong Kong Eastern Basketball Team. The Thai-American won an ABL title with Hong Kong Eastern in 2016-2017 when he also won the Heritage Import MVP award. 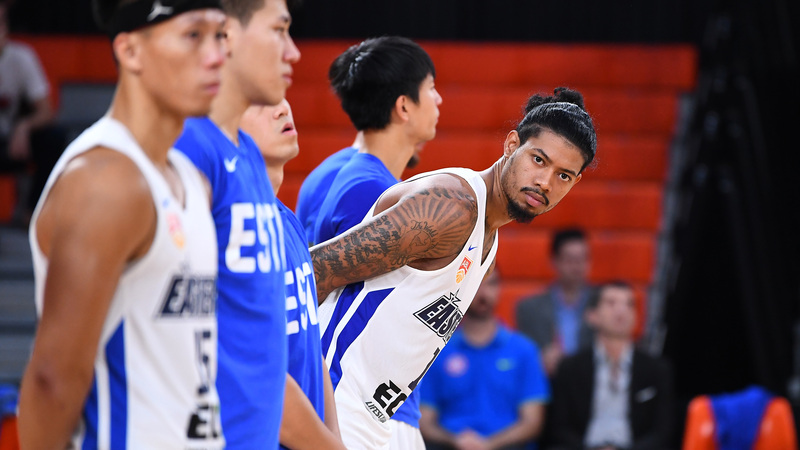 Lamb was classified a Heritage Import in all of his first three seasons in the league and the changes to the classification rules in this season possibly led to him not being picked up by Hong Kong Eastern once again. This season, Lamb is classified as a local player for Mono Vampire Basketball Club as a player of Thai heritage, making him a dream signing for Mono Vampire fans ever since the start of the season. Since Lamb is classified as a local player, Mono Vampire will still have one more import slot available to fill in after the recent release of Jason Brickman. There have yet to be any confirmations of a replacement at this moment, though it is heavily rumoured that the final import quota will be filled by recent PBA champion Romeo Travis. There is currently no information on a definite schedule when Lamb will arrive in Thailand to be with the team and whether he will immediately be available for the January 30 game against Wolf Warriors in China. Mono Vampire are currently at 9th place in the standings with a 2-11 record. Lamb has previously been playing for Tycoon Club in Hong Kong and recently play against the Thailand national team at the Super Kung Cheung Cup in December 2018. The skilled swingman has also played for the Thailand national team during the 2017 SEA Games and the FIBA Asia Cup 2021 SEABA Pre-Qualifiers. ← Has Jason Brickman already played his last game as a Mono Vampire?